Two years after our marriage, my husband and I started trying for a baby. We knew it could take a little bit trying to conceive, so we were patient. But after a year with no success, we went to see a fertility specialist. My husband, Ryan, and myself had several test run on both of us to determine why we could not conceive. Every test came back the same- normal. Doctors couldn’t find anything wrong. They determined we had unexplained infertility and recommended we try in vitro. They said we only had a 2% chance of conceiving on our own. The procedure was going to cost upwards of $20,000. Money which we didn’t have to spend on something that wasn’t even guaranteed to work. So we turned to adoption. We started fundraising-selling shirts, golf scrambles and go fund me pages. We were about have way through the process when, you guessed it, we found out we were pregnant. We had never been so happy/shocked in our lives. Waiting till 8 weeks to see our little baby on the first ultrasound seemed like it took forever to get here. Finally- a heartbeat was detected. We were actually going to have a baby! Our doctor offered us genetic testing at just ten weeks. She also said we could find out the gender at this time. We were so excited! We couldn’t wait to hear the gender. We weren’t really concerned about anything else. Even if the baby had something serious, we knew we would continue with the pregnancy. Finally, after two weeks of getting the blood test, our doctor called with the results. She first asked if we wanted to know the gender. Omg, it’s a boy! We had always talked about having a baby boy named Chase. We were so elated! But the doctor said there was one more thing she needed to tell us. She said: Your son has an extra X chromosome. We had no idea what that meant or if our baby was going to be okay. I immediately started crying and shaking from fear. How could we have tried for so long to conceive to find out something isn’t perfect with our baby. She explained he has Klinefelter’s syndrome. She went over some of the symptoms such as: low muscle tone, slow learner, socially awkward, delayed/no puberty, tall, sterile. I relaxed a little bit- I could deal with this. Just because my baby may need a little extra assistance in school or not grow up to be a bodybuilder doesn’t mean he wasn’t still perfect! But wait- she said sterile. My husband and I got to thinking… it took us (two healthy young adults) 2 years to get pregnant. Ryan has little to no body hair, he is 6’3 and has a few other symptoms he wouldn’t want me to mention. Does Ryan have Klinefelter’s syndrome and passed it down to Chase? We started researching learning Klinefelter’s syndrome is not hereditary. So here we were- not knowing much about Klinefelter’s syndrome and our doctor asked if we wanted to have an amniocentesis performed to confirm. We decided not to because it wouldn’t change anything. All through my pregnancy, my family and I research Klinefelter’s syndrome. Reading the same things over and over, but we were never really concerned with it. We knew our baby would be born and just be a little extra special. May 11, 2018- our 9 lb 3 oz, 19.5 in long baby was delivered via c section. He was the most beautiful thing I had ever seen- gorgeous complexion, head full of hair and some big OL chunky cheeks. He was perfect. The doctor told us they were going to send off some cord blood to verify he had Klinefelter’s syndrome. Somewhere along the way- someone forgot to get the cord blood. So the next day- they took our 1 day old baby away to put in an IV to draw blood. We then found out a nurse put the blood in the wrong vile. They took Chase away again, to get more blood. They told me they had to stick him 3 different times, including once in his head, to get the blood needed. I was furious! Is this what Klinefelter’s syndrome was going to be- constant pain to my child? Never ending test? After three days, we went home and settled in. We went to our first doctors appointment the next day with Chases pediatrician. His doctor confirmed he did have Klinefelter’s syndrome. She told us some early symptoms to look out for and referred us to see a geneticist. We called to set and appointment, but they were booked out until July 2019. So at this point, we were told there was not really anything else to do. We loved, cuddled, sang to, rocked and played with our precious Chase. He was just the best baby! Never ever cried or fussed. Was a 12 hour sleeper at a month old. We got/get so many compliments for how well behaved he is all the time. Chase continued his check ups with his pediatrician. Everything looked good. He was in the 99+ percentile for height, 96th in weight and 98th for head size. Everything checked out good until his last 6 month appointment. The doctor asked if he could sit up on his own or put pressure on his legs- which he could not. She pressed firmly against his feet and Chase didn’t try to resist. She stated he definitely has low muscle tone and she recommends seeing a specialist to get ahead of the game. We took him to the specialist who had us fill out a ton of paperwork about him. She calculated the results and said Chase would need a more specific evaluation. Chase is almost 8 months old and will be getting evaluated this upcoming Wednesday. We will work up a plan with the specialist to get a head start on Chases muscle tone. 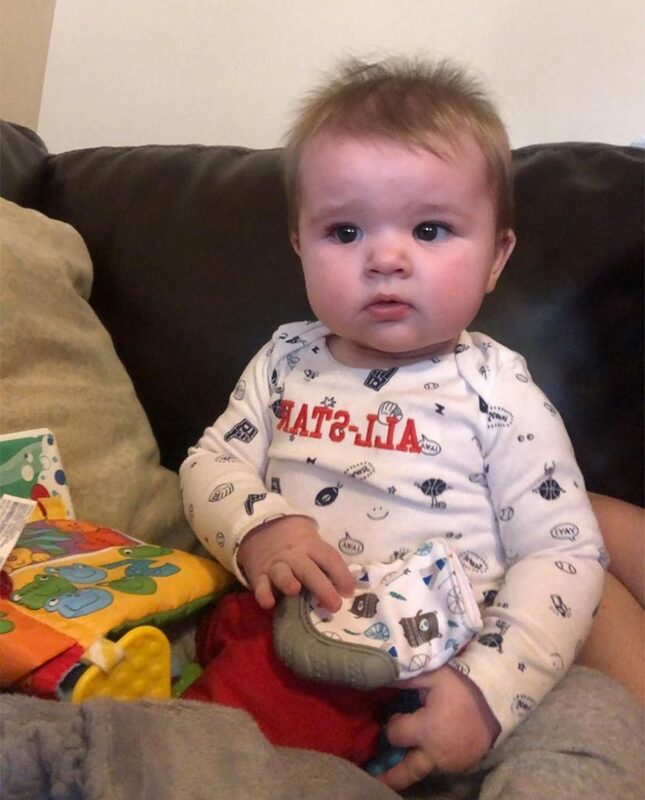 At this point, Chase can sit up by himself and will put a small amount of pressure on his legs- but has no interest in trying to stand. My baby may have Klinefelter’s syndrome, but it doesn’t define who he is. I know there will be lots of obstacles along our Klinefelter syndrome journey, but we are prepared to do whatever it takes to make sure Chase is happy and healthy! If you would like to share your own story or your children’s story about being diagnosed with an X and Y variation please email Info@livingwithxxy.com . We want to hear and share your story with the world. What a beautiful story!! Enjoy your miracle baby! What a beautiful story about your baby Chase. Thank you for sharing. My name is Mark and I have XXY. I am 60 years old. In the 1950’s there was no way of knowing I would have Klinefelters Syndrome. I didnt find out until I was 17. I remember being very shy when I was small. I went to a Catholic school and the nuns taught us. I had the hardest time with math and doing math problems. I had a hard time reading novels. I like picture books better. Gym forget it. I hated sports. I had no muscle tone. I did very well in the sciences. I went to college and did very well in ornamental horticulture. I really loved gardening. I should mention I am gay and figured that out in my 20’s. I have a husband and we have been together 29 years. We have a successful gift shop and art gallery in Provincetown MA. Amazing! I too had a boy last year with Klinefelters and the only thing different between him and his sibilings is he well behaved and they are not. Lol. He is taking longer to walk but it’s a scale with kids klinefleters or not. He’s my surprise miracle baby and perfect in every way. Ryan’s page brought me a lot of piece because somethings on the internet are scary. I’m sure this little boy will continue to do amazing things on his on schedule. Hello, did his father also have KS. Pls reply. No, His father does not have Klinefelter syndrome. Thank you for sharing. He’s so perfect and beautiful! I am 22 weeks pregnant and have been told my baby may have kleinfeltzer’s syndrome. Reading articles like this gives us so much hope. My son is also an XXY-15-year-old boy and it wasn’t until he was 13 that we found a specialist to treat him in NYC. I did have testing when I was pregnant and knew he was XXY. He was a good and beautiful baby. No speech or delay in walking when he was a toddler. He does struggle in school but we get him extra help. We just recently had a procedure to retrieve sperm tissue and freeze it. I appreciate all of the positive and hopefully responses on this BLOG…Many articles are very depressing…Thank you, everyone, for sharing! What a beautiful story, thanks for sharing and congratulations on your miracle baby! Hope all goes well during the next visit! I know there are so many articles and information out there that mentions individuals with XXY are socially awkward and I have to agree with a lot of the people here that say that all of the information that is provided out there isn’t correct. My husband has XXY- we just found out a year ago, so he grew up his whole life without the knowledge of having it. He is the most outgoing guy you will ever meet in your life- he is fearless and not socially awkward at all. Recently he took a personality test and the results said he is actually 100% extrovert. I share that to say, the label that someone with XXY may be socially awkward is just not true (from my experience). Hope this info breaks that stigma! My husband and I just found out he has an extra X chromosome. Unfortunately we are having trouble to conceive due to that. We where told if it was detected sooner at a younger age they could of done something but now it’s too late. I would recommend any one who has kids to get more information and give that information to them before it’s too late. My husband was just detected also. There is a procedure that is recommended if he is under 35, so there may still be hope! My husband and I are scheduled to go through it late next month. 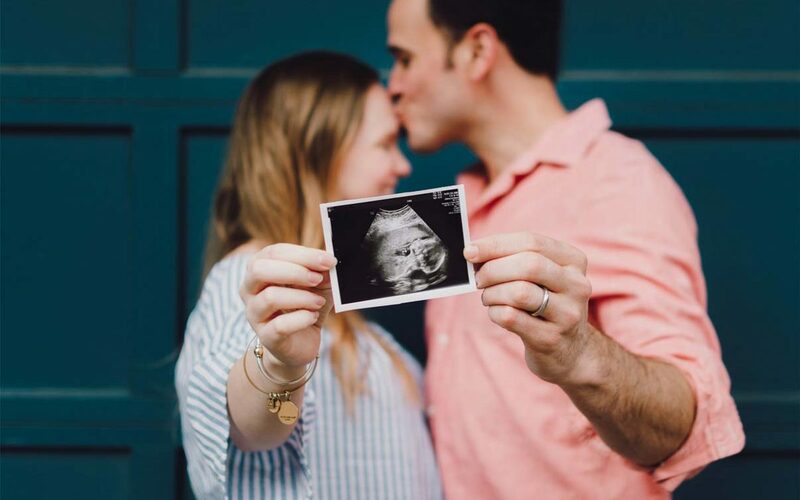 It’s called Micro Tese joined with an ICSI IVF at the same time (you and your husband would be going through the procedure at the same time). If you would like more info please reach out!